Last year, judges of the Perth Fashion Festival’s Student Runway event chose three talented designers to take up residence in The Carton, a fashion ‘incubator’ inside Carillion City. 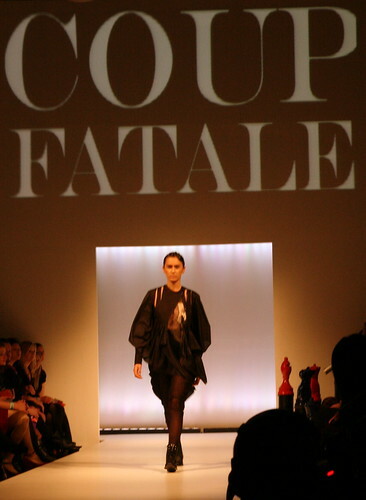 The designers – Ellie Meyer, Jane Kelsey and Andrea Wolf – were given a studio space where they created collections to showcase at the 2010 Student Runway event. The collections they created are nothing short of breathtaking and I have no doubt that all three designers have very bright futures ahead of them! As part of the Student Runway judging this year, Claire Davies, Johann Kim and myself selected three students to take up residence in The Carton in 2011, and they include Jeromy Lim, Celene Bridge and Alissia Gomez. This talented trio will showcase their designs at next year’s Student Runway event.